Most all the social networks are rolling out new looks,apps,and features the last few days. Twitter just rolled out today a new look and homepage. Thanks for your helpful post.Because i know twitter but i don't know about your other 2 links.So now i will create my profile in the 2 site. 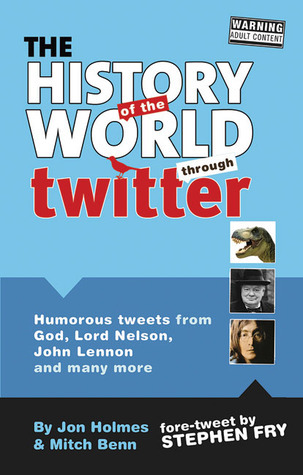 A humorous voyage through world history, this time the story is told through the speculative tweets of its most famous people: from the Lord’s commentary at the creation of the universe to Hardy’s view from the Battle of Trafalgar, and from the Mona Lisa’s reaction to being painted to Jackie O’s take on the JFK assassination, this book takes an irreverent romp through the annals of history. Social Needia - needing all those likes! moongirl wrote: It is very hard not to smile while watching this! All these three site are best in social network and helpful.